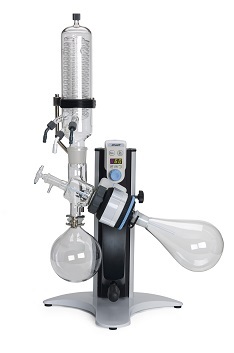 Essentially there are three Stuart rotary evaporators, the motorised stand is the same throughout but the glass orientation changes. 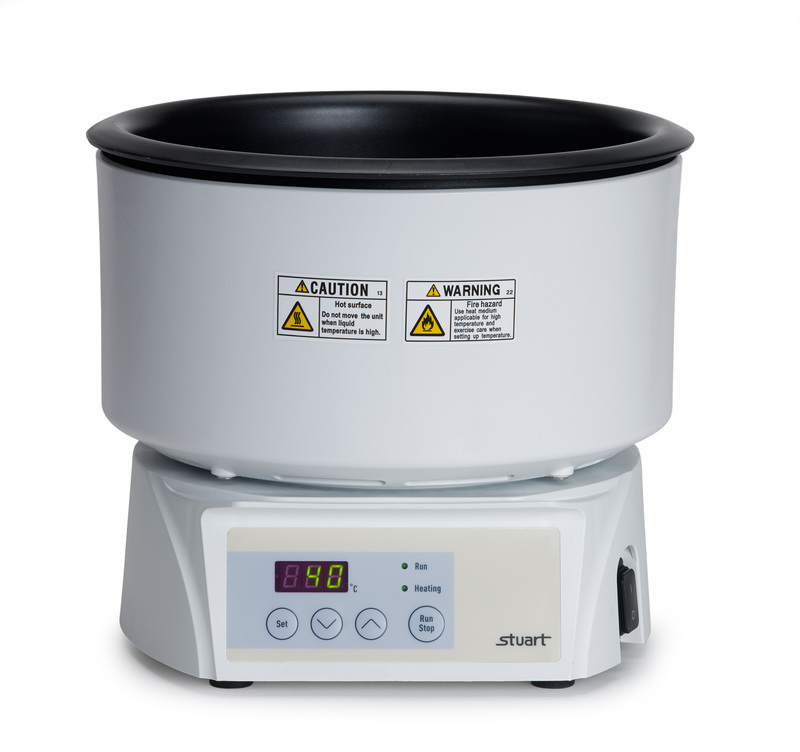 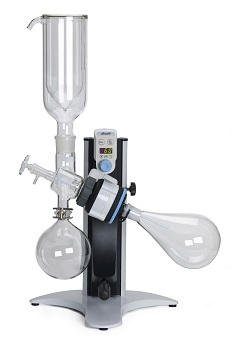 The diagonal condenser is the more traditional style of rotary evaporator and is preferable where height restrictions apply. 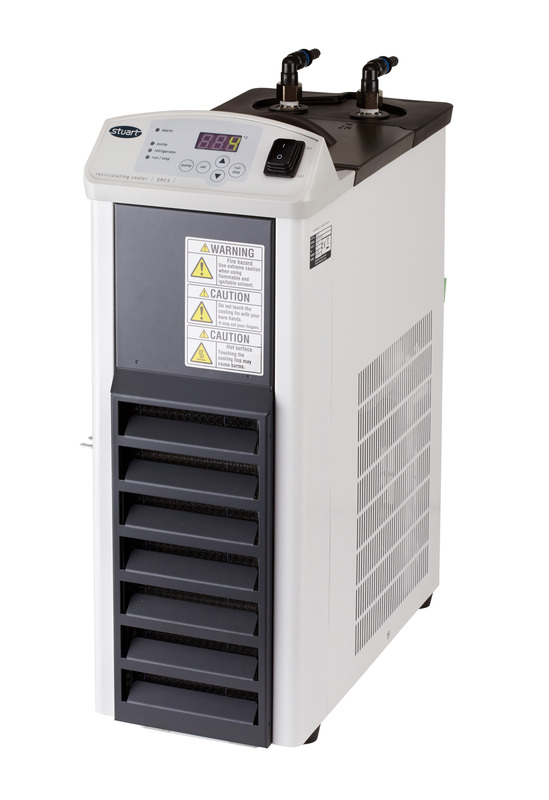 The vertical condenser offers a more compact footprint, useful for use in fume cupboards for example. 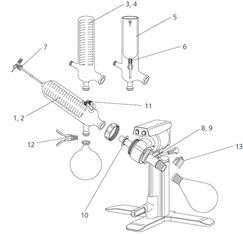 The cold finger condenser is the option you would choose if you don't have a constant water supply for cooling the evaporated solvent. 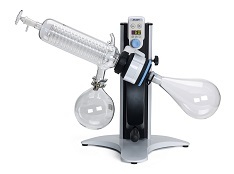 Then there are the rotary evaporator accessories, a water bath is commonly used to control the temperature of the Florentine flask, but a pump or combination of the two can be used to control the boiling point of your solvent mix. 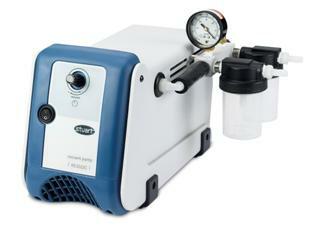 The recirculating cooler is ideal if you need extra cooling capacity or simple want to save water.